Alan Hoare's infectious enthusiasm for digging deeper into God's word is evident throughout this powerful 64-day devotional study of the Book of James. As he explains James' teachings on difficult subjects such as trials and suffering, faith and action, wealth and poverty, anger and jealously, you will find yourself at once both refreshed and challenged in your daily life. James' pastoral aim throughout is to develop in the church a faith that endures the journey of life, walking steadily through good time and hard times; a shoe leather faith. You could say that devotional season is upon us as I have a number lined up to include for review over the next few weeks in the run up to Christmas, but actually this book was released in July and it has taken me this long to get around to it! This devotional is a little bit different to the others that have come across my desk and that I am still expecting to receive. Firstly, this does not have a big name attached to it. I currently have daily readings on my desk from Brian McLaren, Joyce Meyer, Tim Keller and other well-known Christian teachers; this book is by Alan Hoare, someone that I have not heard of, but who has had a long ministry of mission work and pastoral care as well as having a solid theological academic base. Secondly, this book gives something a little deeper than many devotionals. Often the devotional market can be giving us a thought for the day based on a Bible verse, something we can carry with us – and often, it seems, this is in replacement of a deeper reading of the Bible. What I love about Alan is that he sets out very clearly that this book, while intended to be a daily read, should be read in additional to your personal time in the Bible. Thirdly, this book has depth; some devotionals have about as much depth as a puddle, taking seemingly random feel-good Bible passages, there is no real attempt at explanation but often the verse is followed by a nice story that somehow relates to the text. 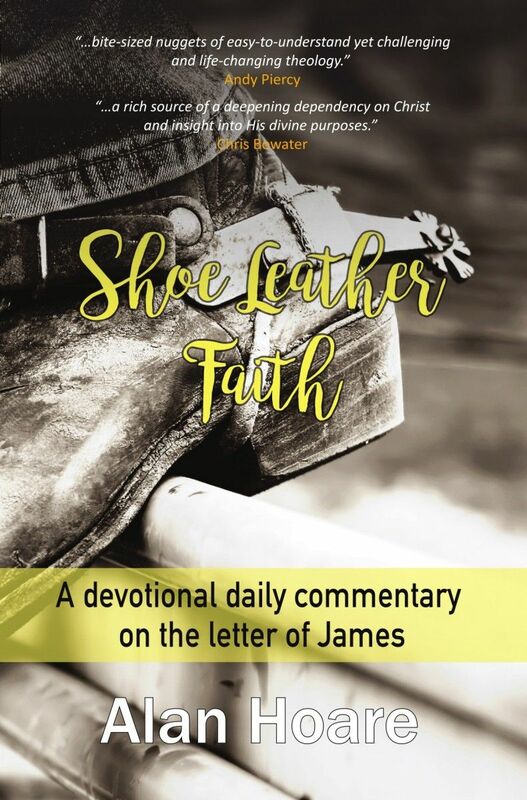 Shoe Leather Faith has a systematic approach, taking the book of James apart verse by verse almost. The teaching drawn out doesn't skirt around subjects raised and at times spends a couple of days invested in getting to the bottom of the Bible writer’s meaning. 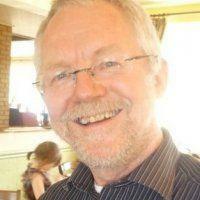 So there is serious meat on the bones of this examination of the book of James. Some people would have fitted this neatly into a 60-day plan but this book gives 64 days to digest this book. The way he has set about this book reminds me of a church I used to go to where they would go through a book of the Bible, verse by verse, chapter by chapter and it would simply take as many weeks as was needed. There is a lot here that has been dug out with a lot of references to many other respected and published Bible teachers of the past. Alan knows his stuff. There could probably be a little more flow in some of the writing, but often this kind of exegesis doesn't allow easily for that when you need to include the original word translations, or get an overview from different Bible interpretations. Let's face it: the book of James is one that has always been contentious for the scholars, from authorship to its faith by grace and works approach, so plenty of people have a lot to say about it! Alan picks his way through the tangled web and gives you a viewpoint to investigate further. Now from this review so far you may think that this is a very scholarly text and it's just going to be an academic exercise, but actually this book has very practical applications in life. It might not be a trite 'thought for the day' but over the book, it builds up the picture of what the author calls 'Shoe Leather Faith'. This is a practical outworking of the teaching, in what is one of the most practical and down-to-earth books in the Bible, that deals with the big subject of the faith-filled life, but also the fundamental way that this should be lived out with those around us. Alan has done a brilliant job of uncovering and practically relating this text to what it means for us when we walk out of the door in the morning. There is no big celebrity name on this book. There are no short, trite, airy-fairy thought for the day type stories, but there is structured, daily, theological and practical thoughts of how we walk out the grace and faith in our day-to-day lives. If you want to deepen your understanding of the book of James, or your relationship with Christ, in an accessible daily format, then look no further!